UFO on Region 2 DVD! In the year 1980, a secret military organization named SHADO (Supreme Headquarters Alien Defence Organisation) becomes operational. Its purpose is to defend the Earth from a race of Aliens who've been kidnapping humans for body parts. SHADO's main headquarters is hidden beneath a London film studio. It also has a base on the moon (Moonbase) and a fleet of submarines (Skydiver). Incoming UFO's are initially detected by an Earth orbiting satellite named SID (Space Intruder Detector). 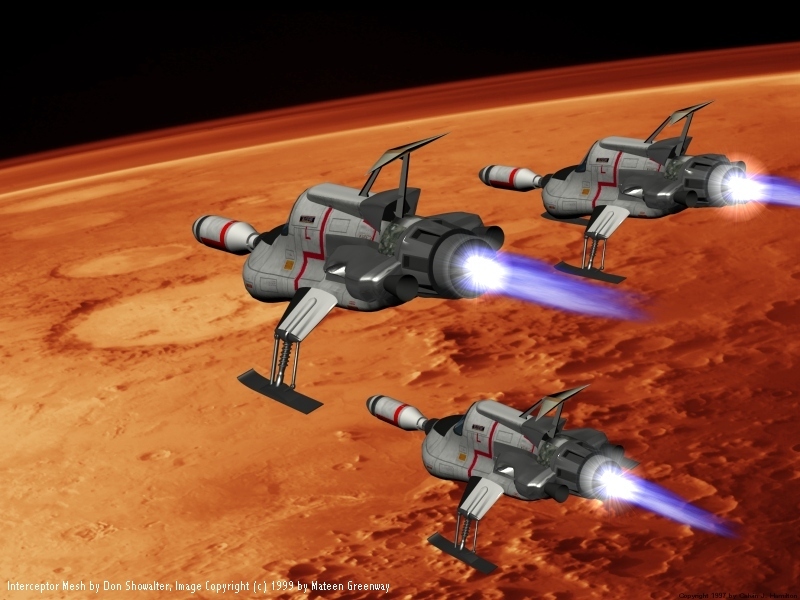 An initial interception attempt is made in space with three Interceptors launched from Moonbase. 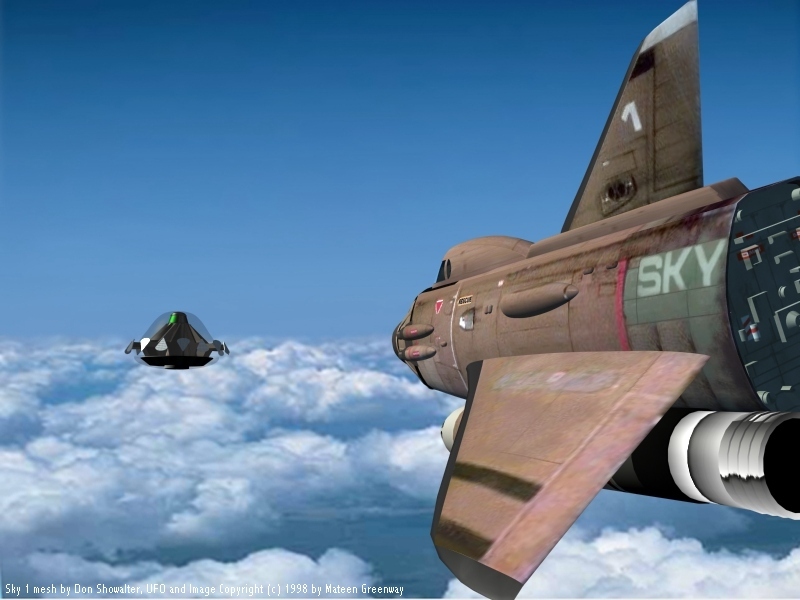 A second attempt is made in the Earth's atmosphere with a fighter plane (Sky One) launched from Skydiver. Landed UFO's are tracked down with ground Mobiles. SHADO is run by the extremely dedicated Commander Ed Straker. His seconds in command are Col. Alec Freeman, Col. Paul Foster, and Col. Virginia Lake. Moonbase is often commanded by Lt. Gay Ellis. It is the near future....1980.... An alien race is visiting and attacking the Earth to harvest organs for their dying race. SID was a key element in SHADO's defense set up for Earth. 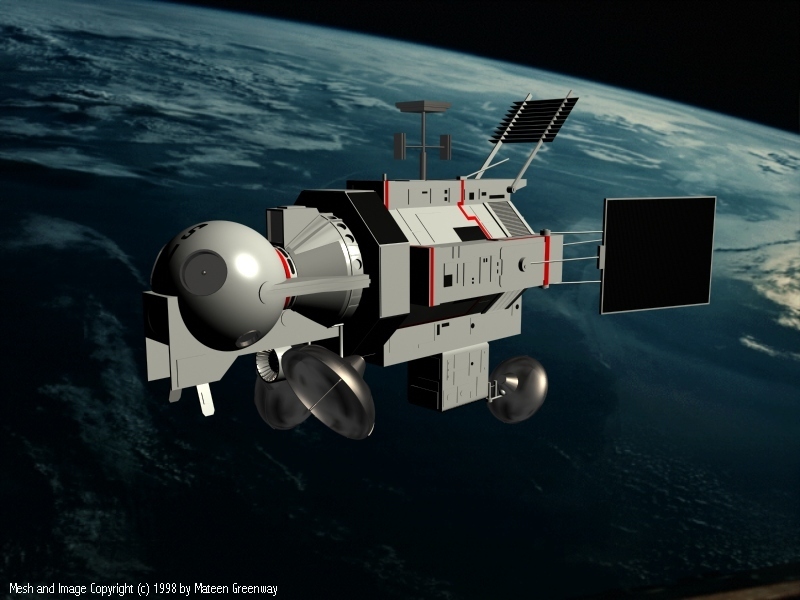 Space Intruder Detector (SID), is a tracking satellite that orbited the Earth and scanned deep space looking for aliens. When a UFO was sighted by SID it alerted Moonbase SHADO command on Earth which operated under the guise of the Harlington-Straker Studios movie studio in England. 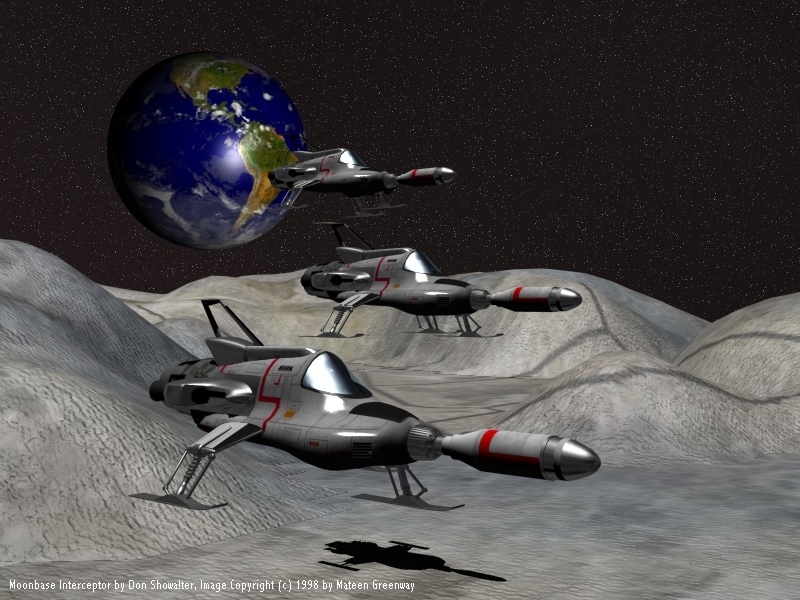 SHADO's first line of defense was Moonbase which would launch the Moonbase Interceptors (that always flew in threes). 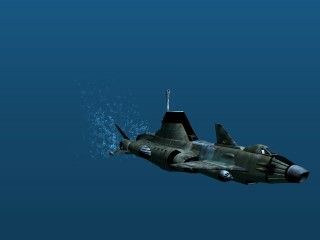 The Interceptors were each armed with one really big Nuke and they would try to intercept and destroy the incoming UFO. If the Moon based Interceptors failed to stop the UFO, the intercept was handed off to Skydiver. The Skydiver fleet consisted of submarines with the submersible, undersea-launched Sky One interceptor aircraft attached to the nose. At least four Skydivers that patrolled the oceans..Sky 1, Sky 2, Sky 3, Sky 4 etc. 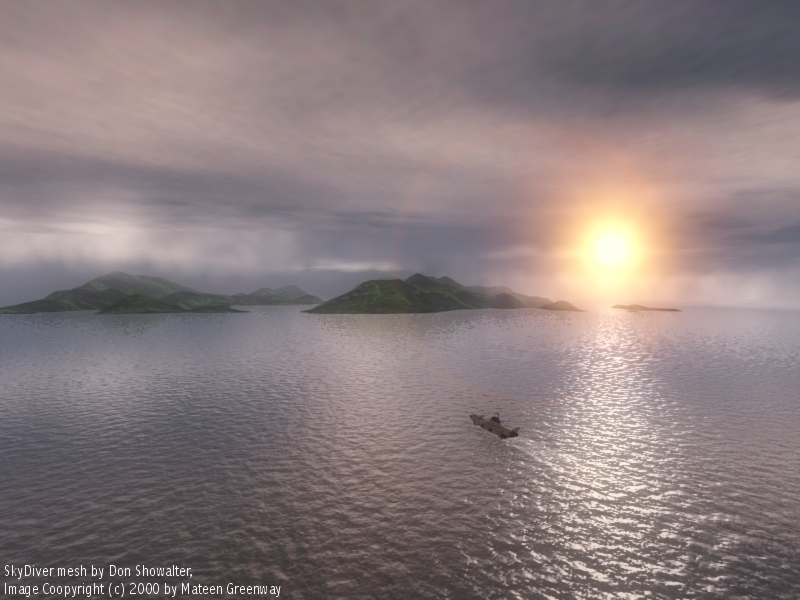 Skydiver would launch from beneath the ocean's surface to intercept the UFO in the Earth's atmosphere. 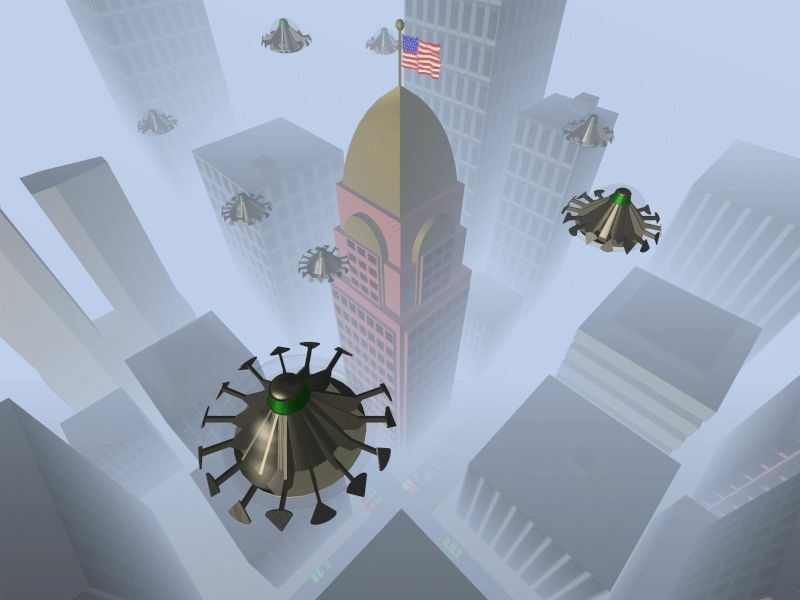 If the UFO was able to get by the Moonbase Interceptors AND Skydiver, when it landed on Earth, then the SHADO Mobiles would roll into action and track the downed UFO. 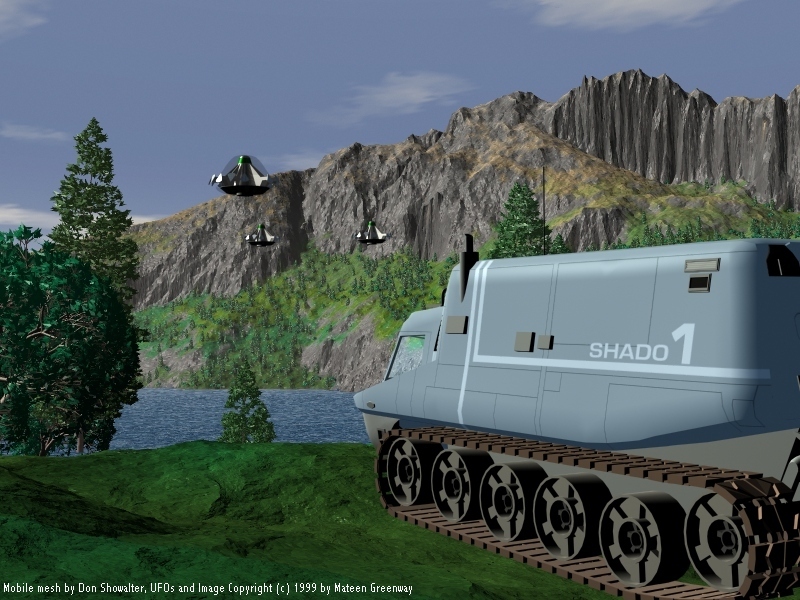 The SHADO Mobiles are a combination infantry fighting vehicle and tank and they are heavily armed.